The Raising Robots office is buzzing with excitement about recent news that the ‘Little Miss’ and ‘Mr Men’ children’s book series have created an awesome female engineer character to help tackle gender stereotypes. Let’s get ready to meet: ‘Little Miss Inventor’! The author and illustrator, Adam Hargreaves, intends for the latest addition to the collection – a female engineer – to be a “positive role model” for girls. We can’t wait to read the new ‘Little Miss Inventor’ book which goes on sale on 8th March 2018 to coincide with International Women’s Day and British Science Week! An intelligent, ingenious and inventive ‘Little Miss’ – exciting times! We wonder what Little Miss characters your students could invent?! 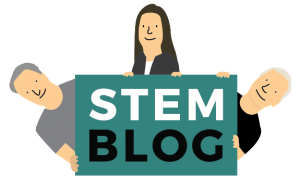 This entry was posted in STEM and tagged Learning, Science, STEM.